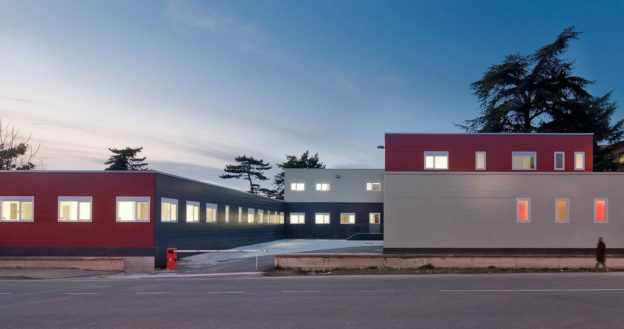 Integral solutions adapted to the needs of the client. Thinking globally allows us to offer specific solutions that can be adapted to the requirements and working systems at our client’s facilities. 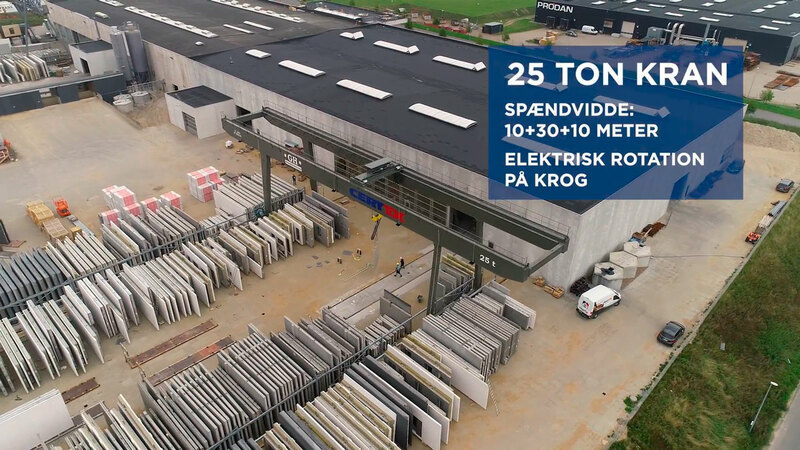 This is the case for the combination of products that have been installed at the facilities of the company CONFAC in Denmark. CONFAC is a company that manufactures precast concrete for housing construction. 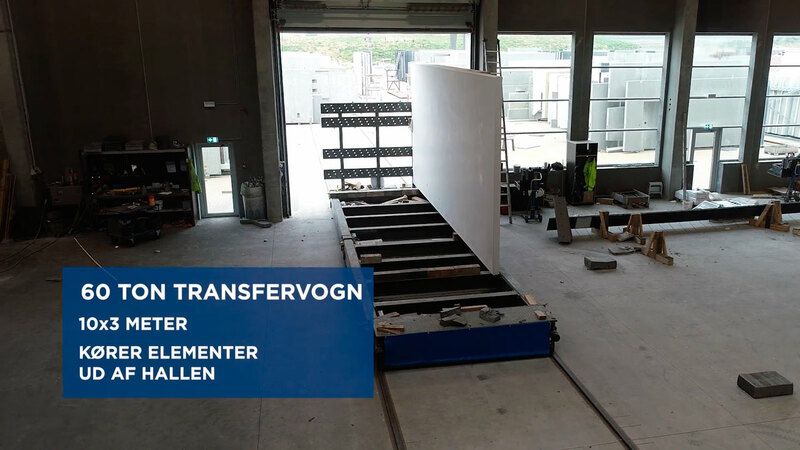 The system for manufacturing and storing the parts required four bridge cranes, a transfer cart and an external gantry crane, all working together in a continuous and timed process. 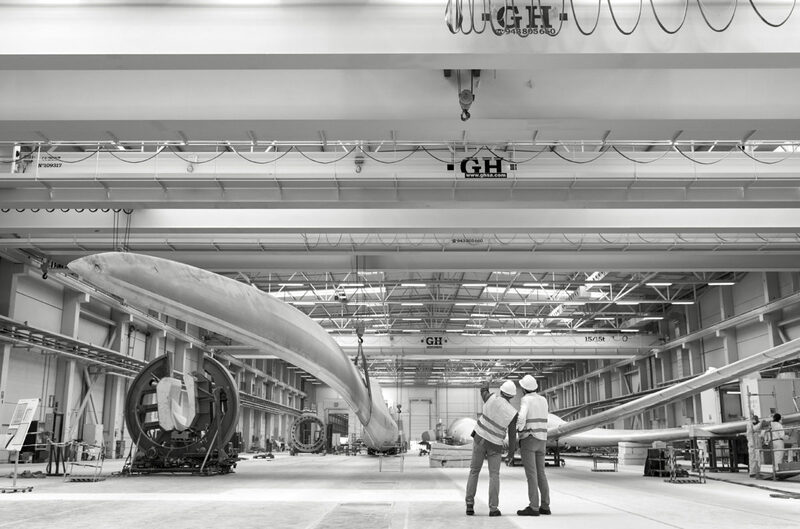 The cranes used in the mould-handling process and for the manufacture of the pieces, which are transported outside using a transfer cart and then finally stored in the exterior patio using a gantry crane, are installed in the main hall. 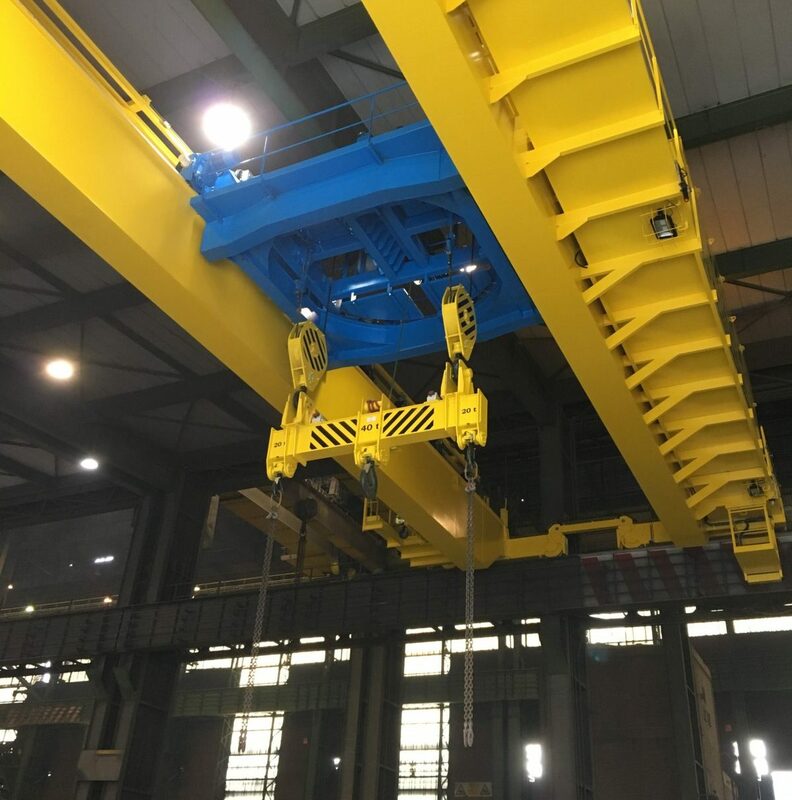 The cranes have drives for all movements, which allow smooth movement of the load and increased speed when the crane is working with 25% of the load capacity. 25 t and 20 t bi-rail bridge cranes, with 24 m span. 7.5 t and 3.2 t bi-rail bridge cranes. 10×3 m transfer cart with capacity of 60 t.
25 t gantry crane with 30 m span and 10 m cantilevers. It has electric rotation in the hook to make handling the pieces easier. This project has been managed by Certex, our official distributor in Denmark. Esta entrada se publicó en Referencias y está etiquetada con Bridge crane, Certex, Confac, Denmark, gantry crane, precast concrete, transfer cart en 2018/12/17 por ghcranes. Process cranes – high-performance cranes designed to work in extreme conditions, at high temperatures, and all day long. This particular case is a billet crane with a rotating trolley and magnets to handle hot billets. Work group classification M7, robust design, and the most reliable materials provide completely reliable lifting equipment. Continuous jobs and extreme conditions: this specific one at an ambient temperature of 80 ºC handling billet at 600 ºC. Speeds adapted to the production needs in order to complete the cycles required by the process itself. Auxiliary hoists for the maintenance of the rest of the installation. 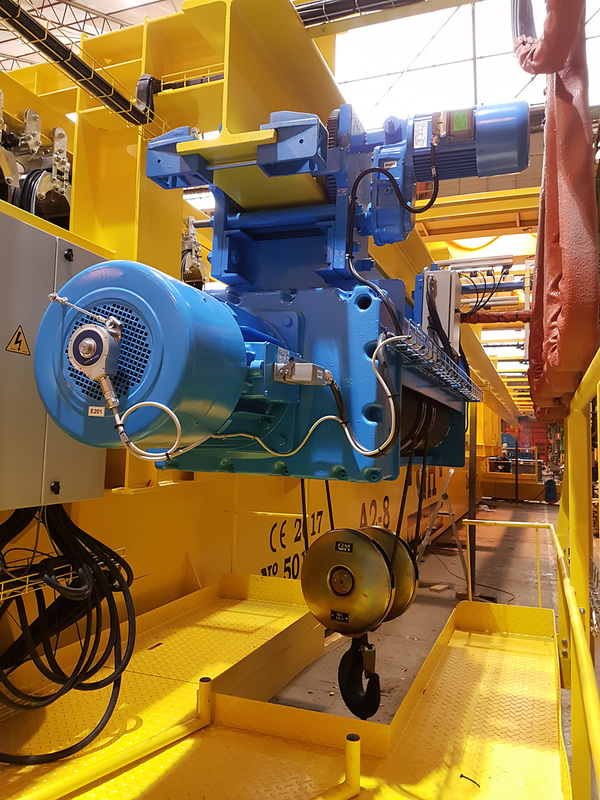 In this case, a lifting hook with a 16t lifting capacity to undertake plant maintenance tasks. 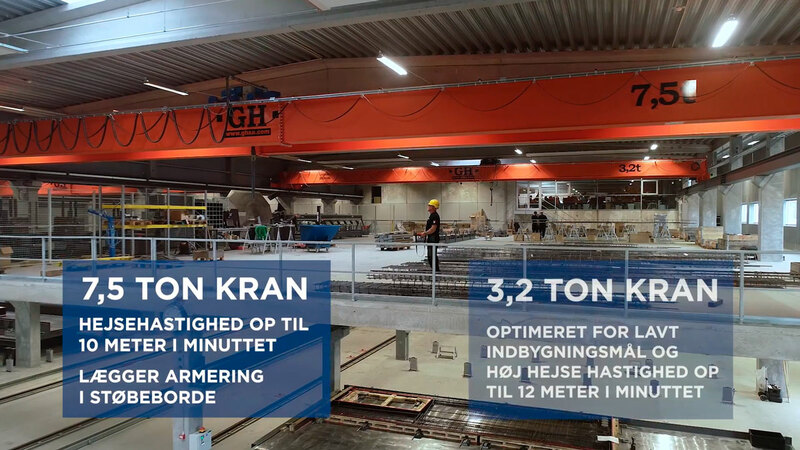 This bridge crane is installed in a building that spans 26 metres, with 22-metre lifting heights (with a pit). The equipment has a 16t auxiliary hoist to undertake maintenance at the facilities (the hoist is installed on a cantilever-type structure to ensure the best approaches as it crosses the building). Other outstanding features of this crane, classified in group M7, include the weighing system + traction cells, area and manoeuvring boundaries, automations for management, etc. The electrical equipment is installed in a separate cabin equipped with redundant industrial cooling in order to guarantee the capability to work at high temperatures. 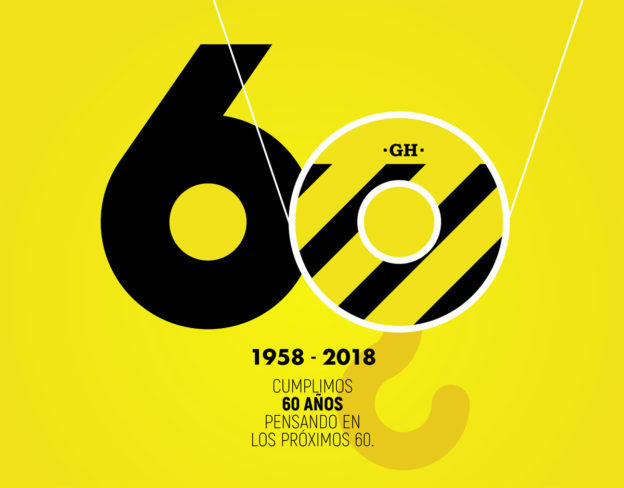 Esta entrada se publicó en Referencias y está etiquetada con billet crane, Bridge crane, Sidenor, Sidenor Aceros Especiales en 2018/10/01 por ghcranes.